7. What don’t you like about it?. Please bear in mind they are just guidelines. You can make your review as long or as short as you wish of course. Thanks for your help! Similar products: havent tried any 24 track interfaces as theres not many about in the same price range. Would i buy it again? : Yes definatly, the 424 PCI/PCI-E card system is awesome bang for the buck, in fact im going to add a 2408 to my system as soon as possible so that i can lightpipe some pres to my set up. Pros: good monitoring, clean signal, easy setup, robust rack mounts, good bundled software (cuemix dsp), vast amount of expandability to the system. Cons: I'd leave a space between it and any other gear as it does kick out some serious heat, buzzes a bit but nothing major, screaming can be annoying and damage monitors if you forget your shutdown order. Fantastic JAYDMF! Much appreciated. That is a very nice review. More reviews like that will really help us all on this forum. Lovely Digi 003 Factory review! Clearly there are many who would like to buy it in future, but are interested in what current users have to say about it...first. 3.Why you bought it: Needed a good audio interface with more than two analogue I/O for external mixing and with midi and digital I/O's. 5.Set up and/or installation: It is installed the same way you instal a PCI card. 6.What do you like about the product: The number of inputs and outputs. 7.What don’t you like about it: Nothing it is perfect for my needs. 9.How does it compare to similar products out there? In my knowledge there aren't many other pro audio pci sound cards besides the m-audio ones so there is not much to compare. 11.Pros and cons summary: The 10 I/O. I have no cons to point out. 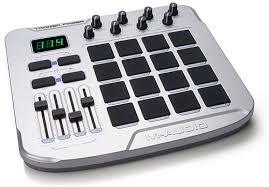 6.What do you like about the product: IT's way cheaper than a mpc and if you can work well with software it comes in handy. 11.Pros and cons summary: Really nice to use, but it lacks some midi maps that would come in handy on other softewares. 3.Why you bought it: I needed a combined 25 note controller and audio interface to use on my laptop when out on the road. 5.Set up and/or installation: Simple/ complicated? : Incredibly easy. The controller is USB class compliant plug and play and the supplied ASIO driver installed and functioned perfectly first time. 6.What do you like about the product? : It's compact nature, superb quality and total ease of use. I also liked the incredible value for money. For my £79.99, I got the board, 2CD's of drivers and loads of software (VST's, Sequencers and audio editors), microphone headset, USB lead and padded gig bag. 8.Any improvements you would like to suggest for the product? : The UMA comes with a guitar strap for mobile playing. It would be worth having if the device was wireless MIDI capable and had a mod grip "a la" SH-101, but of course, this would impact the price. 9.How does it compare to similar products out there? : It feels sturdier than other 25 noters and most others cost twice as much WITHOUT the audio interface. 10.Would you buy it again? : Absolutely ! I'm even considering buying more for friends and family ! 11.Pros and cons summary: Pro's are it's cost, size and utterly market leading capability. Con's are that DV recently dropped it to £67.99 !!! 6.What do you like about the product? : My god, this controller is a sturdy mutha ! It's weighty and substantial and feels like it can take a proper beating. The keybed is superb. One of the nicest semi weighted actions I've ever used, and aftertouch to boot. The MPC pads are a big bonus. The built in arpeggiator and MPC Note Repeat are incredibly inspirational. The sliders, knobs and switches work well too. 7.What don’t you like about it? : Very little to be honest. I am struggling to think of anything. 8.Any improvements you would like to suggest for the product? : The ability to output MIDI over USB and the standard MIDI port simultaneously would be a good thing. Also, Global Settings don't save after power down. 9.How does it compare to similar products out there? : Unmatched when it comes to versatility. 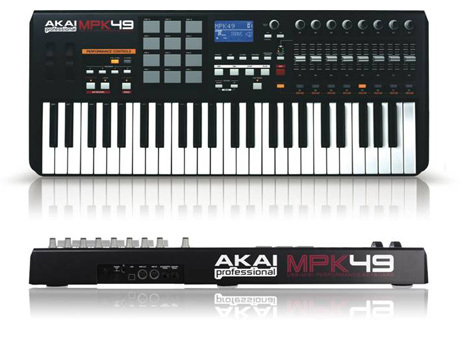 The MPC features and arpeggiator set it well apart. 10.Would you buy it again? : If I hadn't got mine for free, I'd have bought one, no doubt. It is now my main keyboard controller in my studio. 11.Pros and cons summary: Pro's ? It's level of control, quality of keybed and pads and it's substantial weight and solid build. Con's ? Inability to output MIDI over USB and standard port at the same time and Global Settings not being retained at power down.